PennDOT is adding several new license plates to its collection honoring veterans and their service to our country. The Honoring Our Women Veterans registration plate costs $35, of which $15 goes to the Veterans Trust Fund to be used for programs and resources that assist women veterans. The Soldiers Medal, Presidential Service Badge and Legion of Merit registration plates each recognize veterans’ specific contributions during their service. These plates are available for a fee of $20. Veterans must be able to show that they are recipients of the respective awards. Veterans from other countries can apply for a Veterans of an Allied Foreign Country registration plate, also available for a fee of $20. The above plates may only be used on passenger vehicles and trucks with a registered gross weight of not more than 14,000 pounds. Motorcycle owners can now get the Purple Heart Medal Motorcycle registration plate, which displays the words “Combat Wounded Veteran” across the bottom of the registration plate. To get the plate, applicants must be able to prove they received a Purple Heart Medal and pay the $11 fee. Another new plate is the Historic Military Vehicle registration plate, which is available for antique or classic vehicles manufactured for use in any country’s military forces. The vehicles must be maintained to represent their original military design and markings. This plate is available for both historic military vehicles and historic military motorcycles for $75. For more information about plates for veterans and applying for these plates, click here. The initiatives are aimed at ensuring all Pennsylvanians have access to good-paying jobs and careers. The bills now go to the Senate for consideration. The House this week gave overwhelming approval to a bill that would ensure public officials or employees who commit felony crimes related to their jobs will not collect a taxpayer-funded pension. 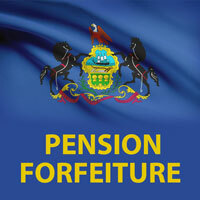 The measure would also put a stop to the practice of a person pleading guilty to lesser crimes to avoid losing their pension and closes several other loopholes that have been exploited by officials to continue to collect pensions from the state after breaking the law and violating the public trust. The bill is now on its way to the governor for his signature. In light of the U.S. Supreme Court’s decision that public employees cannot be required to pay money to a union, the House could soon consider a bill to ensure public sector employees are notified of their rights under the First Amendment and state law. House Bill 785, which was approved by the House Labor and Industry Committee this week, would require public employers to notify their employees who are not union members annually that they are not required to pay any money to the union unless they agree to do so. The bill would also require public employers to inform job applicants of their right to choose whether or not to join the union – and of their First Amendment right to not pay any funds to an organization they did not consent to support. The bill is currently awaiting consideration by the full House. The Pennsylvania Environmental Council, Pennsylvania Department of Conservation and Natural Resources and other groups are hosting an Earth Day tree planting event at Weiser State Forest on Saturday, April 20, from 9 a.m. to 1 p.m. If you would like to participate, you’ll need to wear boots or sturdy shoes. Supplies and food will be provided. To RSVP for this event, contact Laura Gray at the Pennsylvania Environmental Council by calling 412-481-9400 or by emailing her at LBray@pecpa.org. You also can register by visiting pecpa.org/weiser. The Department of Environmental Protection is beginning a five-year environmental surveillance of ticks to assess the risk of tickborne illnesses across Pennsylvania. The study is taking place in every county in Pennsylvania to track ticks’ habitats, life stages and peak activity levels and to test them for human pathogenic diseases. The surveillance will focus on collecting three tick species: the blacklegged tick in its immature nymphal stage, when it most often infects humans with Lyme disease, as well as human babesiosis and human granulocytic anaplasmosis; the adult American dog (Dermacentor variabilis) tick, which transmits Rocky Mountain spotted fever and tularemia; and the adult lone star (Amblyomma americanum) tick, which transmits ehrlichiosis and tularemia. The project is being funded through the Department of Health.